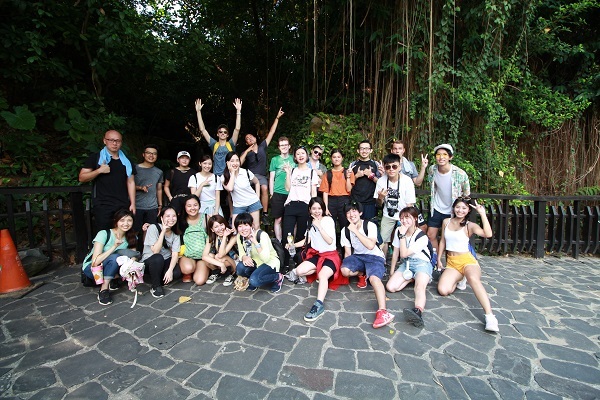 We went to Junjian Yan and Beitou for one day trip this time, and we got more than 20 peoples joined us!! 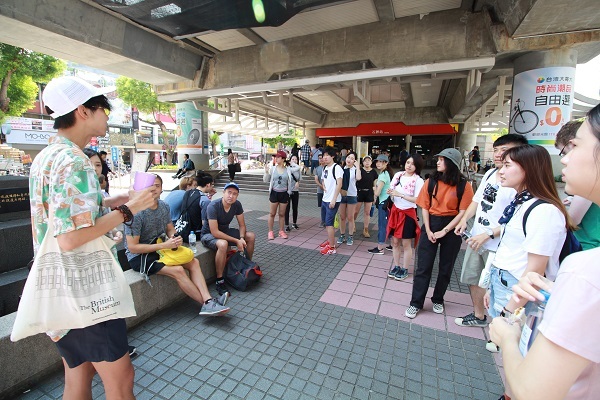 ↓ Met up at 9:30am, a bit introduction and explained the itinerary before we started. 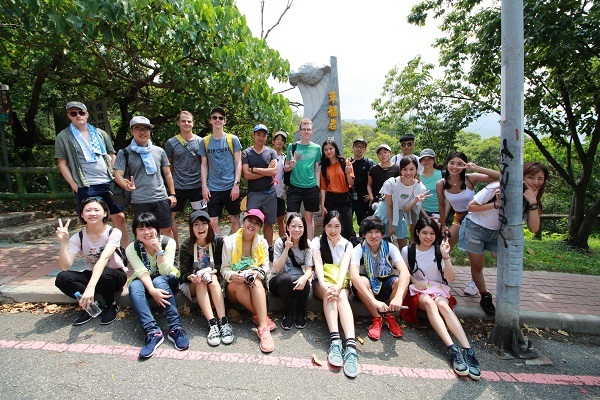 The entrance of Junjian Yan hiking trail is in the National Yang Ming University, will reach it after walking about 15min from the school gate. 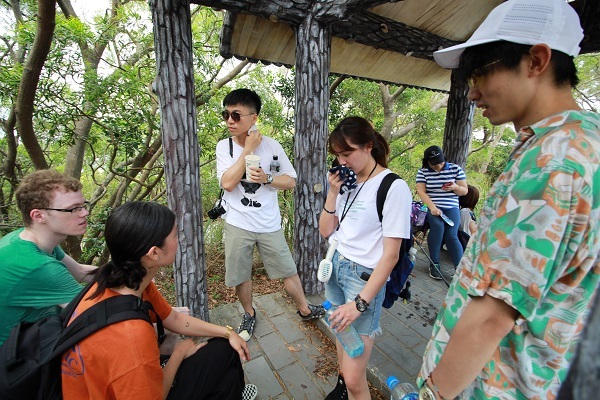 The Junjian Yan hiking trail start with a lot of stairs, and there’s a pavilion is en route, we spent a while there resting and chatting, was really relaxing! 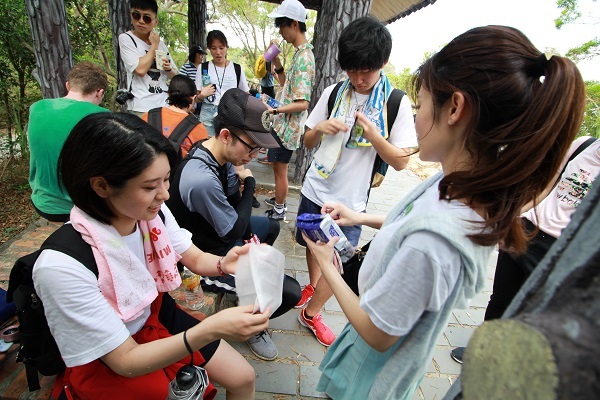 10 min after left the pavilion, we arrived the Junjian Yan scenic spot. 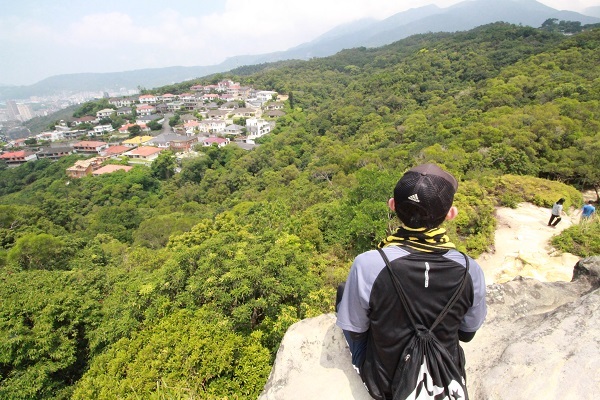 ↓From the top of the Junjian Yan, you can get 360∘view of Taipei and mountains. And of course, remember to take some photos there and share it with your friends! 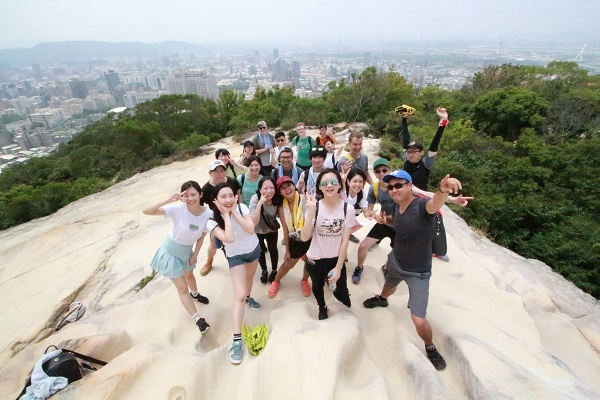 But please make sure you’ll watch out your steps when you climb up the top of Junjian Yan! We don’t want anybody falling down from there! 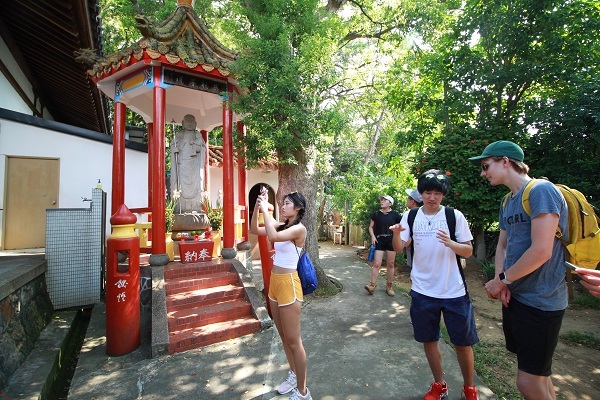 After everyone got their perfect shot, we follow the hiking trail heading to Zhaoming Temple. 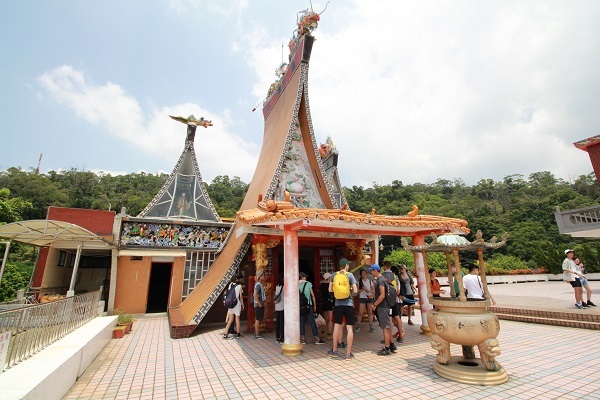 The Zhaoming Temple has very special building design, it’s even different with other temples in Taiwan. The roof is all the way down to the ground from the top, the whole building is looks like a big triangle. 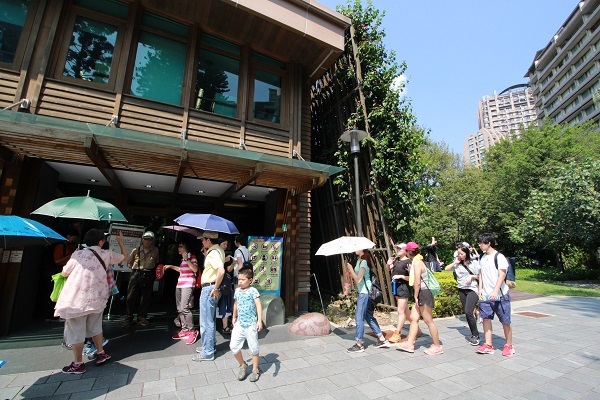 Nearly the noon time, we arrived the CBD of Beitou, and get ready for our lunch! Everybody spent too much energy at the morning time, so we also had some cold brinks and chill a bit at the restaurant after lunch. 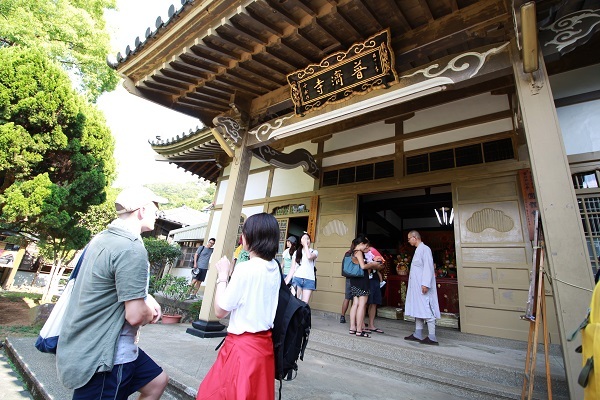 Itinerary in afternoon is visit the Beitou Library, Puchi Temple and Thermal Valley. The Beitou Green Building Library is the first green building library in Taiwan, you can also enjoy the mountains view and the relaxing breeze while you reading. But please noticed, using the camera is not allowed after you enter the library. 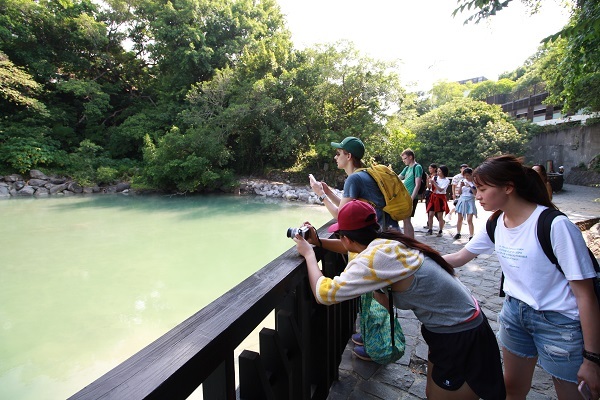 Last place we visited in Beitou is Thermal Valley. 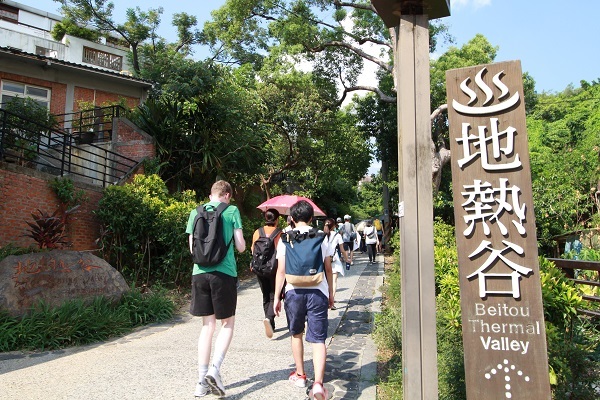 The Thermal Valley is a source of Beitou hot spring, it’s also the hottest hot spring in this area, the average temperature is between 90 to 100 degree. The misty phenomenon year round makes it looks like a wonderland! But of course, if you can visit here during the winter time will be better than summer! 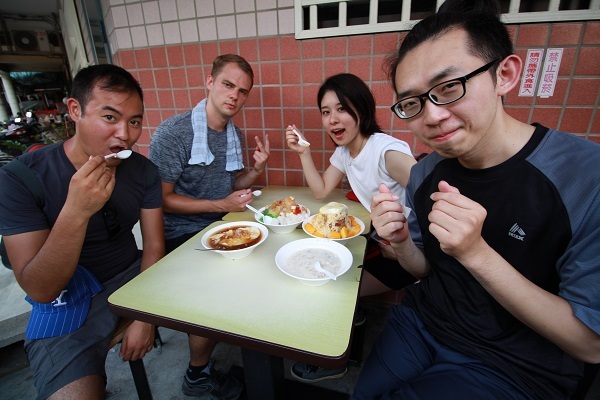 After the itinerary in Beitou, we decided to end up our day tour with shaved ice! 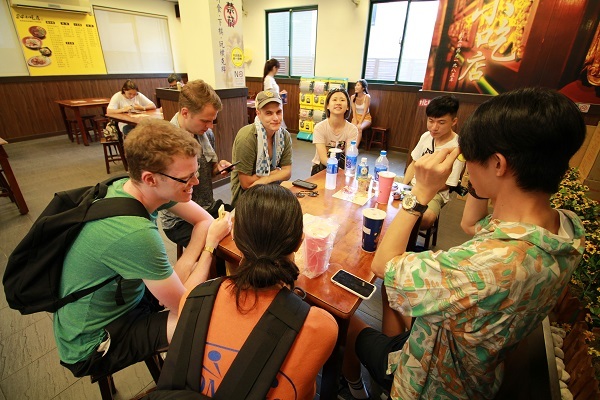 Have you try the traditional shaved ice in Taiwan? Choose some topping by yourself and glaze some syrup. Yummmm! It’s time to say goodbye! 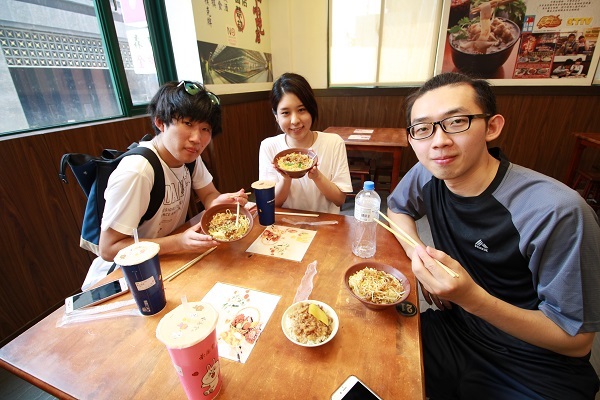 We really appreciate your join, and hope we can show you more places of Taiwan in the future!